As you may have noticed Vidibiz has undergone some major changes in recent weeks, we have merged with Southpoint Films Ltd. The instigation for this “merger” has been my recognition of the undoubted and award winning resources of Southpoint Films Ltd, in the name of Rowan Johnson the Managing Director. Rowan graduated from Southampton Solent University with a First Class Honours Degree in Film and Media, has won various nationally recognised awards in his craft and is a passionate and very able film maker. In the old days I would have said “if you can’t beat’em – join’em!” My own film making skills have been gained as a hobbyist during “many” years in corporate management before moving full time into video production some 10 years ago. I can and do make good films but being realistic I cannot expect to compete in the Corporate, Event and Education sector against those who have a far greater ability to utilise the digital media tools that are now available. I have worked with Rowan since October 2013 in various capacities, including both Business Mentor and support Cameraman, during that time I have had first hand knowledge of both his wide ranging talents as a film maker and his devoted commitment to delivering videos to the highest standard. During our conversations at the start of this year it seemed a natural evolution for both business to merge under the Southpoint Films banner. Combining the individual skillsets and resources of both businesses would add considerable strength to our business opportunities. The main office will remain located in central Southampton and we will maintain the studio near Lymington in the New Forest. The trading name of Southpoint Films Ltd. will be maintained as the primary brand, however, the name of Vidibiz may be gone but will not be forgotten as it will be resurrected in the future for “non-core” projects. In the meantime all marketing will be under the banner of Southpoint Films Ltd.
Emails sent to paul@vidibiz.co.uk will still be received and responded to as normal but replies etc will eventually all come from paul@southpointfilms.com. 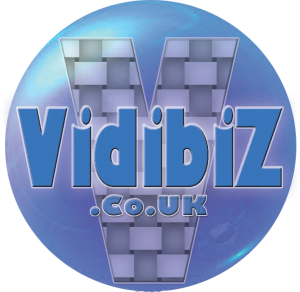 This will link you to the changed holding page for Vidibiz where we have placed a quick show reel and Press Release announcing the recent changes.